In some ways, the weeks after the Drum Corps International World Championships have taken on the feel of the NFL's draft season, and this year it seems that is especially true. Dozens of top corps designers and instructors have shifted their allegiances to work with new corps, and in some cases, old friends. Dan Potter looks at who's going where and why, and searches for the reasons behind the seemingly high number of staff changes this off-season. 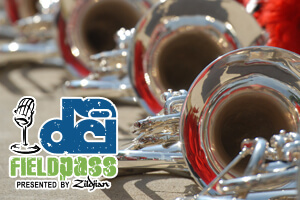 It's all in the September edition of the Field Pass presented by Zildjian. Interviewed in this episode: J.D. Shaw (Santa Clara Vanguard), Don Hill (Phantom Regiment), Andre Feagin (The Academy), Lee Beddis (Madison Scouts), Glen Crosby (Blue Knights), Dean Westman (Bluecoats) and Michael Gaines (The Cavaliers).